A couple of weeks back I wrote about Phil McCarthy, the father of a lady called Dinah Ballantyne, who was a member of the Home Guard given the responsibility for protecting Penton Hook Lock during the dark days of the Second World War. A COUPLE of weeks back I wrote about Phil McCarthy, the father of a lady called Dinah Ballantyne, who was a member of the Home Guard given the responsibility for protecting Penton Hook Lock during the dark days of the Second World War and asked readers whether anyone remembered him and could fill in some of the background for Dinah. Two people have contacted me so far and while I’m not sure whether either has direct links to Phil McCarthy, I’m going to share their thoughts in the hope that it might still jog other memories. Pat Chimes from Shepperton, now 83, lived in Ashford (where Phil McCarthy also lived) and played for a local football team just after the war. 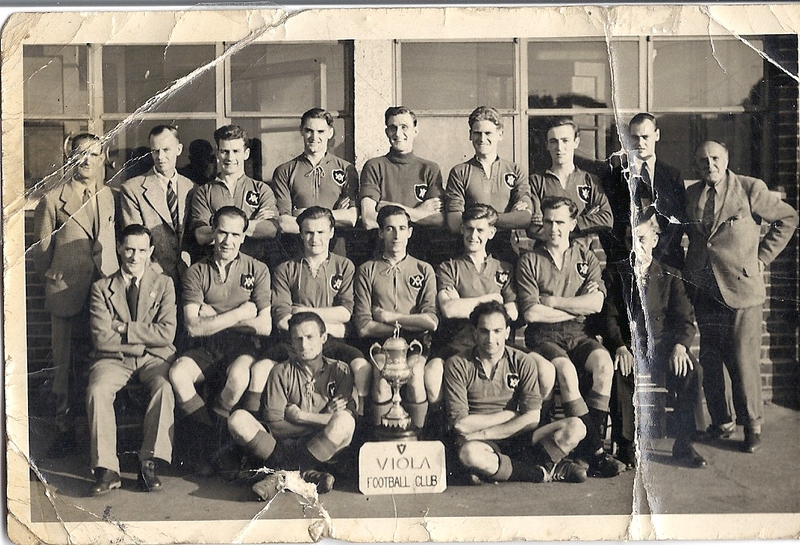 Originally the club were called Viola FC (because many of the players lived in Viola Avenue, Ashford) but they subsequently changed their name to Ashford Villa and went on to be quite successful. Luckily, Pat still had this old photograph of the team, sitting proudly behind the Ashford League Cup which they’d just one – and ‘Capt. Mac’ is seen at the far right of the picture. Pat is third from the left in the middle row. I’ve forwarded it to Dinah up in Inverness and I’ll let you know the outcome. Pat ended up in Ashford when he and his family were bombed out of their home in London early in the war. He remembers that his first job – taken at the age of 14 – was as a messenger boy at Ashford post office. Mary Rackley also contacted me to say that her dad, Ernest Glenister, was also in the Home Guard and was stationed at Penton Hook Lock although she didn’t remember Mr McCarthy. I checked out the website of the Association of Dunkirk Little Ships and, sure enough, there was the Lady Isabelle. She is a 30-foot open slipper launch and it defies belief that this fragile little boat could have withstood the battering of two return trips across the channel to pick men from the beaches! I don’t know that I’ve got too much farther in my search for people who served in the Home Guard with Phil McCarthy – but it’s fascinating, nevertheless to hear from readers who remember that time. Can anyone else help shed any light on Mr McCarthy or his activities? If so, contact me by email at mort.smith [at] trinitymirror.com or give me a call on 01895 451033. This is the last column of the year – so I’d like to take this opportunity to wish everyone a very happy Christmas – and thanks for all your contributions. Riverwatch will return in January.